Acting for long-standing client Forward Investments, GV have provided strategic development advice to maximise the short term income whilst persuing a complex and controversial planning acquisition for residential redevelopment. 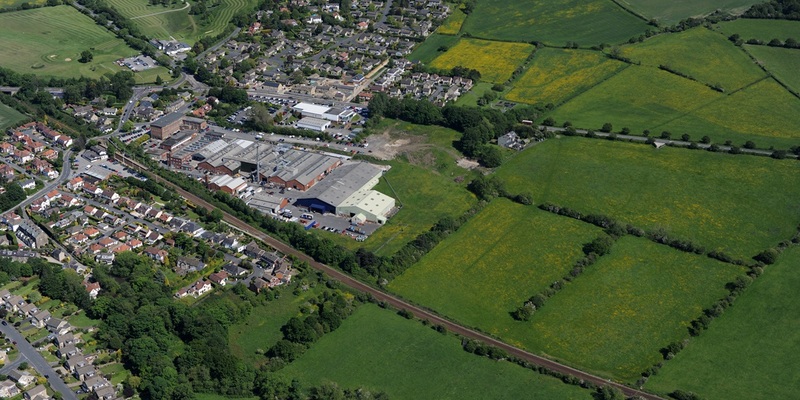 Forward Investments purchased the former Dunlopillo latex foam site on the edge of Harrogate as an investment. Shortly afterwards the manufacturer went into administration, leaving 250,000 sq ft of tertiary manufacturing and warehouse space vacant. Gent Visick were involved from the outset and used their knowledge of both the industrial and residential development market to devise and implement a short term refurbishment and letting strategy to generate some income from the site whilst a long term mixed use redevelopment scheme was worked up and masterplanned. Whilst the letting of the space was immediately successful, the longer term redevelopment was very controversial, with both the initial application and the subsequent appeal being refused. Local objections to change was a major obstacle, so Gent Visick worked with the professional team to evolve the masterplan to better suit the village setting, and worked hard to involve the community to ensure that when the new application was submitted the local people were fully informed and saw the revised scheme as a positive for the area. This “hearts and minds” mission was key in achieving a successful consent being granted for 120 houses, a 150 bedroom dementia care home and 4 acres of business space, along with a major new road junction to support the existing village infrastructure.